Every fall, a sea of pink parades through Columbia. 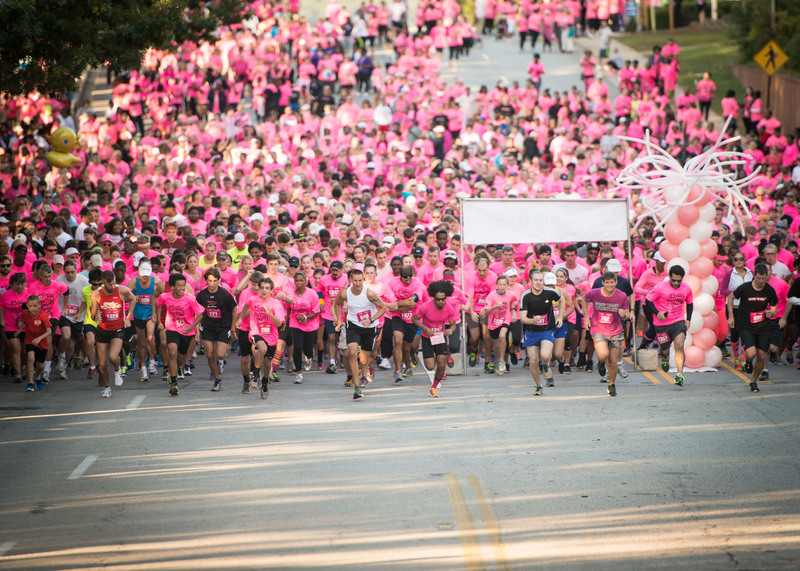 Hundreds, in fact, will participate in this year’s 28th annual Walk for Life and Famously Hot Pink Half Marathon, 5K and 10K, held Saturday, Oct. 13, 2018. Each year’s event helps fund equipment, technology, and/or supplies needed for the Palmetto Health Breast Center at Richland. Proceeds from this event stay in the greater Columbia community to help fund an Upright Stereotactic Breast Biopsy room, with 3D mammography technology as well as educational materials, breast bears, and post-mastectomy camisoles. So far, nearly $9.5 million has been raised through this event for Palmetto Health Breast Center. The event will begin and end at Spirit Communications Park, 1640 Freed Drive in Columbia. Register at WalkForLifeColumbia.org. Registration includes a bright pink cotton t-shirt for walkers and a bright pink performance shirt for runners. Breast cancer survivors will receive a commemorative pink hat. Nearly 40,000 mammograms are performed annually at Palmetto Health Breast Center. One of last year’s event speakers, Adrienne Wright, first learned she had cancer in her late 20s after she had a mammogram. She was treated at Palmetto Health Breast Center and not only partipcates in the October event, but also encourages women to schedule annual mammograms. To learn more, visit WalkForLifeColumbia.org.